Available in IEC ratings of 12, 17.5, and 24 kV, the W-VACi medium voltage circuit breakers from Eaton are designed specifically to offer reliability, safety and performance in a compact, environmentally friendly and cost-effective package. Entirely free of sulfur hexafluoride (SF6) gas, they are tested to the latest IEC 62271-100 and IEC 62271-1 standards and meet or exceed the electrical and mechanical endurance requirements of E2 and M2 in accordance with IEC 62271-100. The 12 and 17.5 kV units withstand up to 50 kA (short time) and 3150 A (rated) or with forced cooling up to 4000 A. The 24 kV units handle up to 25 kA and 2500 A. Offered with both 50 and 60 Hz capabilities, the circuit breakers consist of three key building blocks: vacuum interrupters (VI), epoxy resin encapsulated pole units (EPU), and universal mechanism assembly (UMA). Each building block has specific benefits to create a circuit breaker that promotes safety, reliability and performance. The vacuum interrupters are sealed for life and require no maintenance. They are encapsulated in epoxy resin, protecting them from mechanical impact and environmental conditions such as humidity and dust. The circuit breakers use a simple modular operating mechanism that is common across all device ratings. Due to its modular design, material selection and limited number of moving parts, the W-VACmechanism assembly requires minimal inspection during its long life. Offering numerous safety features, the devices are complemented by an extensive portfolio of accessories that fit all breaker sizes. Easy to mound and wire, these accessories minimize installation time and cost. To provide users with maximum flexibility, the circuit breakers are available globally in both withdrawable and fixed configurations. They can be packaged with the company’s circuit breaker compartment kits for panel builders/ OEMs and are also offered in the Power Xpert UX IEC switchgear design. 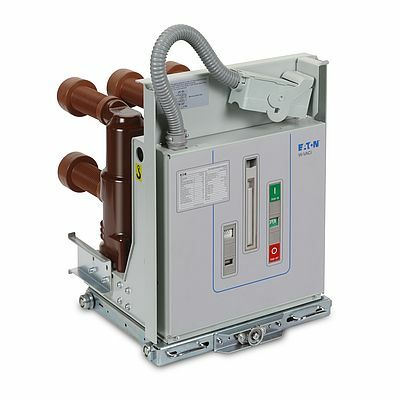 The circuit breakers can be used in a wide scope of applications such as the protection of transformers, capacitor banks, motors, busbar sections and cables, as well as special environment conditions. Theyserve all major end-user segments such as industrial, commercial, utility, mining, marine, oil and gas, and offshore.